(q)PCR Plastics from The Netherlands. BIOplastics optical qPCR plastics are manufactured in our plant in Landgraaf, The Netherlands. Innovative design and skilled production practices leads to the highest visible performance in Real-Time PCR. In order for fluorescent signals in the qPCR reaction mix to pass through to the optical detection unit of a real-time thermal cycler several options can be considered. 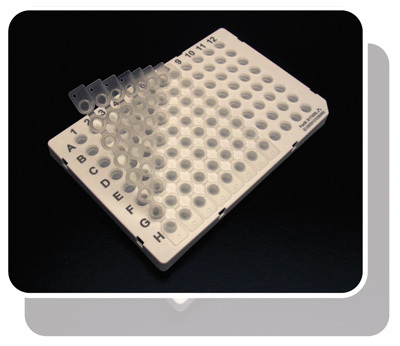 The best choice is to use optically transparent plastic caps to close the qPCR plates, strips or tubes. Caps guarantee the best closure, and maintain the lowest evaporation of your valuable PCR reaction mix. A second choice would be closure with an optical seal, a thin adhesive film. Leakage by evaporation through the adhesive edges of these films is slightly increased in comparison with caps closure. The adhesive used can also play a significant role in the reproducibility of the generated results. BIOplastics offers single tubes with optical caps, as well as a range of Extreme Uniform wide optical area cap mats and cap strips for the closure of EU plates and strips. All of these closing solutions have optical caps with maximized optical areas (12.6 mm2). 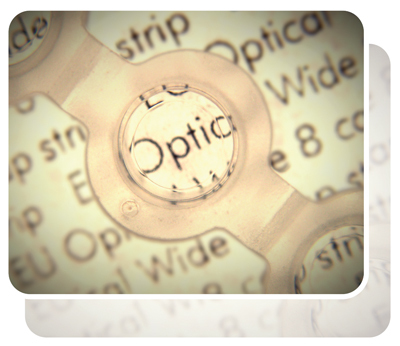 The thickness of the “optical lens” is reduced to 0.30 mm, which minimizes light absorption by the plastic. Our designers have positioned the “optical area” indented in the cap surface which prevents “touching” of this area during the whole (q)PCR process. 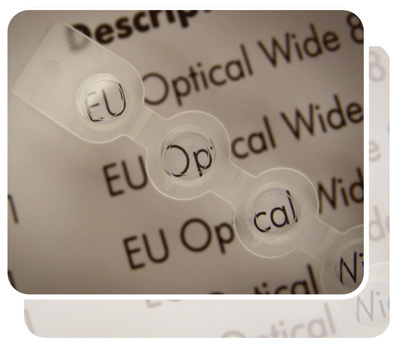 EU wide area optical caps can be interchangeably used on any of our (q)PCR plates, strips and tubes. The robust design prevents any deformation, while applying and removing these cap-strips is easy. The 8-cap strip has cleverly designed hinged caps for easy “one-cap-at-a-time” opening. Multiple of these cap strips attached together in the form of a mat are offered to facilitate the closing and opening of complete PCR plates. BIOplastics Opti-Seal (157300) provides an alternative sealing option for EU plates. The EU Opti-Seal film is non-pierce-able and can be easily removed after the (q)PCR reaction is performed. Pressure applied by the heated lid of the thermal cycler is used to keep the seal well closed during thermal cycling. 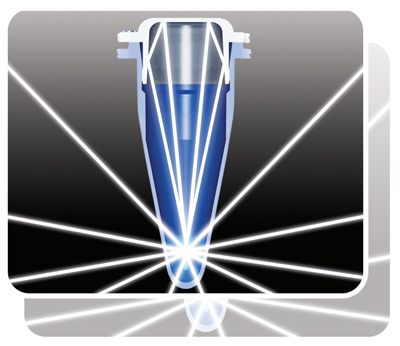 Opti-Seal generates excellent results and is designed and tested to be used in Real-Time PCR applications. To use Opti-Seal on strips or parts of plates only, the Opti-Seal Tear Off optical adhesive film (157400) with 8 strip tear off option is recommended. 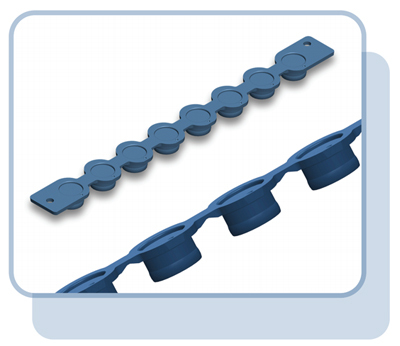 The perforations in this type of Opti-Seal allow easy sealing of strips and partial plates. Frosting refers to the production process of the mold, from which the outer surface of the manufactured plastic is textured, leading to a “frosted” appearance of the produced vessels. Signal-to-noise ratios in qPCR can be significantly increased by using frosted tubes, strips and plates. Frosted products will generate up to 40% higher S/N ratios compared to transparent products. Frosted products ensure pipetting confidence as the vessel content is still visible. White products are superior for qPCR signal enhancement. They show up to 90% improvement of signal/noise ratios in comparison with transparent versions, and up to 50% improvement over frosted products. White strips or plates will also block any light coming from dye-contamination, and differences in or inconsistencies of coating of the qPCR reaction block. 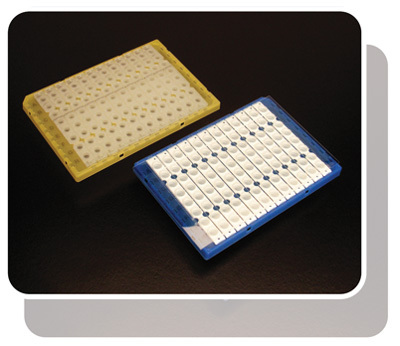 Therefore, white strips or plates closed with optical cap strips or cap mats are the ultimate solution in Real-Time PCR. Micro-particles in the qPCR plastics will also increase signal-to-noise ratios in Real-Time PCR applications. BPLPM (BIOplastics Particle Mix) technology, which permits laser-marking identification of plastics, incorporates micro-particles that also increase signal- to-noise ratios in Real-Time PCR applications. While many Real-Time cyclers use the principle of optical reading throug h the cap or seal, some cyclers achieve detection by optical reading through the sides of the tubes. In this case the highest signals are achieved using Ultra Clear (UC) transparent qPCR tubes, strips and plates. Preferably the ultra clear feature is at the conical part of the tubes. Ideally, the straight upper part of the tube should be frosted and the use of a white cap provides an additional increase to S/N ratios. In this case, frosted products will generate lower S/N ratios compared to Ultra Clear transparent ones. White caps are superior for enhancing signal/noise ratios compared to transparent ones. White caps enable reflection of “lost fluorescence” resulting in increased signals. 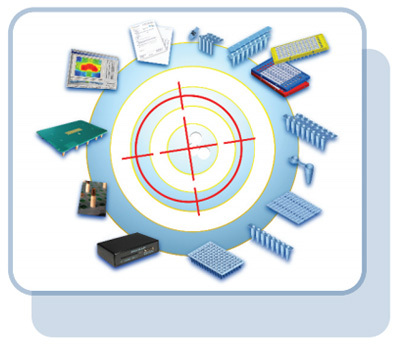 In addition to CYCLERtest’s established and accredited temperature calibration services and products, recently CYCLERtest introduced new hardware and software for the optical calibration of qPCR cyclers and HRM modules. 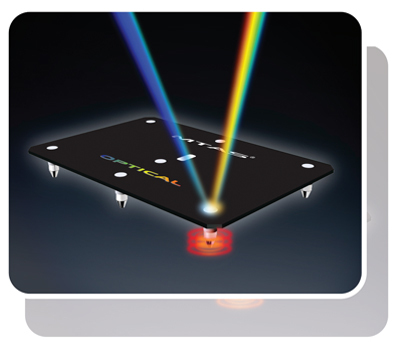 This provides a traceable calibration method for the optics of real-time thermal cyclers. Along with optimizing the optical performance of your qPCR plastics, optical calibration is the next cornerstone for building a trustworthy qPCR protocol. BIOplastics has assembled a range of (q)PCR products which are fully interchangeable with each other. 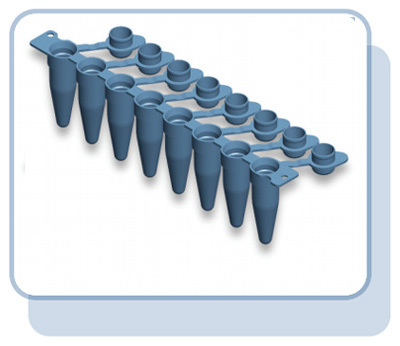 A (q)PCR process optimized in one BIOplastics plate, strip or tube, can be simply transferred to any other. Once the process is optimized you can easily swap to a different BIOplastics format, without the need of re-optimizing or re-validating the process. Using the same protocol on a different thermal cycler is easily done by selecting the designated BIOplastics product for that model of cycler. There is no need for re-optimizing the whole process since BIOplastics’ product characteristics are exactly the same for our whole (q)PCR product line. The fact that BIOplastics offers products for all brands and models of (q)PCR cyclers enables end-users to optimize the (q)PCR process in its, at that moment in time, preferred BIOplastics model.